Nate Brumley is the owner dryflyinnovations.com, and author of two new cutting-edge dry fly books: Addicted to the Rise and Winter on a Dry Fly. 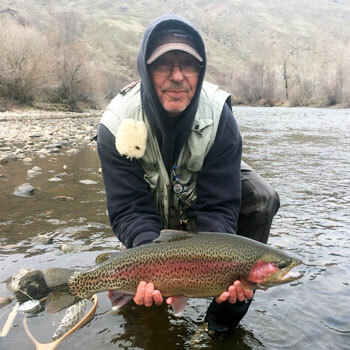 The only bugs sold at his company are dry flies and he’s mastered the use of them in all seasons over all bodies of fresh water. Nate has never sunk a nymph or fished a streamer. His offering is 50 plus years’ experience fishing a dry fly exclusively. Nate Brumley has never sunk a nymph or fished a streamer. He has over 50 years’ experience fishing a dry fly exclusively. If you want to learn about fishing dry flies and tying them join us and help pick his brain. I'm sure there are many secrets to be uncovered. Brumley’s tying sessions introduce dynamic new fly patterns. His presentations are rich in dry fly technique that include video to connect the concepts. These demonstrations are some of the most sought-after events in the industry at present and his breadth of knowledge is truly phenomenal. It’s been said that one hour with Nate is like gaining 10 years of dry fly experience. Should you have the opportunity, attend one of his tying sessions, presentations, or classes…it will change the way you dry fly fish forever.